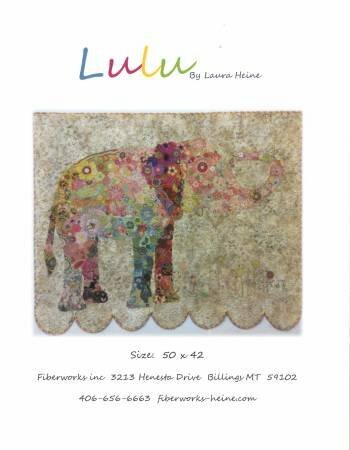 Lulu the elephant collage pattern by Laura Heine includes full sized pattern and complete instructions to complete the quilt. Fused applique. Size 50 x 42.